HopMonk Tavern’s eponymous grilled cheese is a study in the success of attention to detail—from the housemade sourdough to the cheese blend to the crispy coating. Today’s on-trend grilled cheese is a rare gem that serves up both comfort and cool. 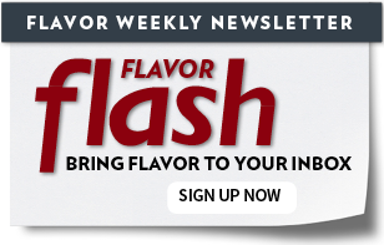 It pulls on the heartstrings while promising a decadent flavor adventure. Chefs are capitalizing on this with versions that are mindful in construction while keeping the integrity of a sound grilled cheese in the crosshairs. Builds like this reflect modern menu development, where each element speaks to craftsmanship and, of course, flavor. Grilled cheese sandwiches can display the best of the veg-centric trend, tucking in flavor-forward ingredients like blistered peppers or charred onion. But they also welcome meaty additions. Like most trends today, the selection of those meats should be thoughtful and craveable. Toasty Cheese Mobile Eatery in the Chicagoland area serves the Mighty Max, with grass-fed ribeye, mozzarella, red onion and garlic butter on a pretzel roll. At Barleygarden Kitchen & Craft Bar, a gastropub in Alpharetta, Ga., with a focus on charcuterie, the Charcuterie Grilled Cheese expresses the brand while offering a fan favorite. The sandwich features salami cotto, pastrami and pepperoni from the The Spotted Trotter (a local charcuterie house), as well as a diner’s choice of Swiss, provolone or American (or all three) on fresh-baked, butter-toasted sourdough. —Grilled Cheese Mania, Harrisonburg, Va. 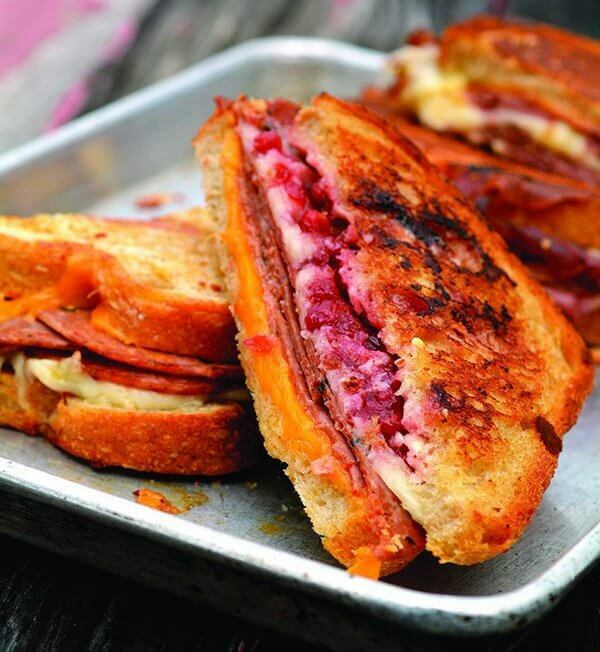 The Charcuterie Grilled Cheese at Barleygarden comes piled high with salami, pastrami, pepperoni and a choice of Swiss, provolone, American or all three. Finn Town serves elevated New American tavern fare in San Francisco. Leveraging the modern Southern trend while delivering a familiar profile, the Southern Grilled Cheese with fried green tomato, pickled jalapeño and housemade pimento cheese showcases how well suited the grilled cheese is as a carrier for trending ingredient combinations. In a nod to both heritage and modern trends, the Southern Grilled Cheese at Finn Town includes fried green tomatoes, pickled jalapeño and housemade pimento cheese. Buffalo chicken’s craveable profile is showing up on menus in unexpected but welcome places. 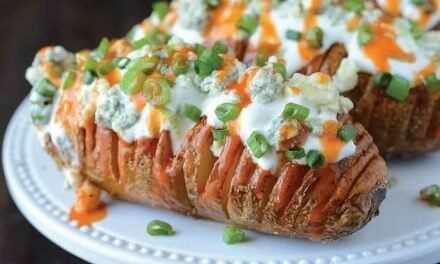 Chefs are exploiting the built-in winning combination of Buffalo sauce, blue cheese and celery, applying it to items like cauliflower steaks, loaded fries and grilled cheese. At The Grilled Cheeserie in Nashville, the Buffalo South stars pepper Jack, pulled organic chicken, Buffalo sauce, blue cheese aïoli, and pickled celery on country white sourdough. 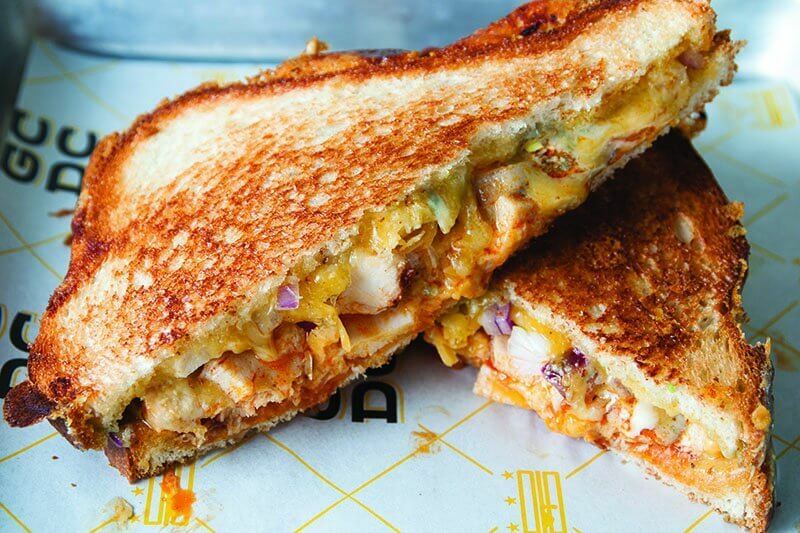 At GCDC Grilled Cheese Bar in Washington, D.C., the Buffalo Blue Grilled Cheese features a cheddar blend, blue cheese, Buffalo chicken, red onion and hot sauce on white bread. “Each of our specialty sandwiches borrows from a particular region or nationality,” says Bruce Klores, managing director of this contemporary eatery. The beloved Buffalo flavor system works its magic on the Buffalo Blue Grilled Cheese at GCDC, incorporating blue cheese, Buffalo chicken and hot sauce. Today’s modern seafood trend is about casual dishes with flavor-forward presentations of fish and shellfish. Grilled cheese sandwiches boasting seafood are popping up as a perfect expression of this movement. House-smoked salmon is the star of the grilled cheese at Bistro 22 in Cranston, R.I., layered with crème fraiche, dill, chives, red onion and Gruyère. At Grilled Cheese & Co, with multiple locations in Maryland, the Crabby Melt features melted Monterey Jack on top of housemade Crabby Dip loaded with sweet claw crabmeat. “Here in Northeast Ohio, Lenten fish fries are a big deal, and the Lake Erie Monster takes all the elements of a classic fish fry and puts it on a sandwich,” says Matt Fish, owner and founder of Melt Bar and Grilled, with seven locations in Ohio. The sandwich features crispy battered pollock, sweet slaw, American cheese and jalapeño tartar sauce. —Grilled Cheese Grill, Portland, Ore. Diving into seafood, Melt Bar and Grilled includes battered pollock in its Lake Erie Monster, along with sweet slaw, American cheese and jalapeño tartar sauce. Of course, grilled cheese and breakfast get along just fine, especially when a fried egg or strip of bacon helps signal its intention. The opportunity here lies in the built-in craveability of a grilled cheese and the acceptance of all-day breakfast across menus today. The American Grilled Cheese Kitchen, with multiple locations in San Francisco, serves up a number of breakfast grilled cheeses, including the best-selling Huevos Rolando with Monterey Jack, seasoned tomatoes, black beans, jalapeños and chipotle butter. Another example is the Classic Egg & Cheese, with sharp cheddar, Monterey Jack and an over-easy fried egg on San Francisco artisan levain. “Just by adding a fried egg—we recommend over-easy with a really runny yolk—you can create fast, delicious and filling breakfast sandwiches with every flavor profile you can imagine,” says Nate Pollak, “the big cheese” of this grilled cheese concept. The Classic Egg & Cheese grilled cheese at the American Grilled Cheese Kitchen shows off how at-home this sandwich is in the breakfast category. Beaker & Gray serves global-inspired fare in Miami. Brian Nasajon, executive chef, puts out an eclectic brunch menu with offerings like coffee-glazed bacon and eggs Benedict with a rice cake, jamón Serrano and tomatillo hollandaise. Isa Bistro’s Gourmet Grilled Cheese boasts Gruyère and cheddar, mixed greens and a housemade onion-pepper jam on housemade focaccia.